What's only slightly less scary than snakes-on-a-plane? Small, scuttling, crustaceans-on-plane. 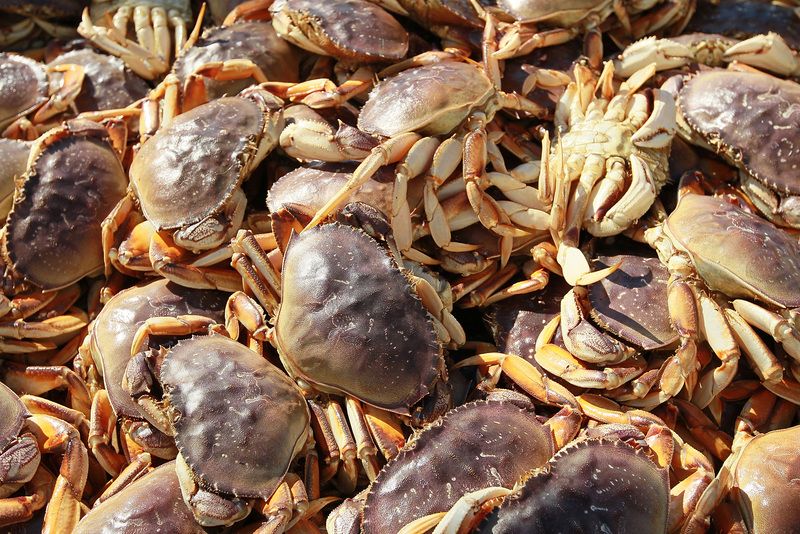 Earlier this week, a U.S. Airways flight was delayed after crabs escaped in the cargo hold, and flight attendants literally had to run around to try and catch the little creatures (it's as yet unclear whether they were entirely successful or not). So you can add "crazed crabs" to your list of reasons to hate flying. On Thursday, passengers on Flight 890 from LaGuardia to Charlotte were given the news all travelers dread: their scheduled departure time, 6:59 p.m, had been postponed. What they weren't expecting was to be informed that the reason the flight was being delayed was that a mass of pint-sized crabs — of unknown species — had escaped the cargo hold, and were wreaking havoc on the plane. Josh Freed, a US Airways spokesman, told ABC news that “they were small, not Alaskan King crabs,” adding that there were “a lot of them" and they were "widespread." He didn't say if all of them had been caught. Of course, passengers took the opportunity to go on Twitter to document the shellfish fiasco, using the hashtag #CrabsOnAPlane. "Was just informed our flight is delayed because a shipment of crabs escaped in the cargo hold #crabsonaplane," tweeted one user. "'If you are trying to make a connection out of Charlotte tonight that will not be happening'-sound of @USAirways gate agent killing dreams," tweeted another. The flight was only delayed by a half hour, arriving safe (and hopefully crustacean-free) at 9:15 pm. Bizarrely, crabs are far from the craziest creatures to have caused a flight to be held up. Giant iguanas once camped out in the runways at San Juan International Airport in Puerto Rico, causing widespread delays. Another time, a flight was delayed for over an hour at an airport in Egypt, after a Saudi Arabian prince's royal horses got antsy in the cargo hold. And speaking of antsy, according to NBC news, a flight from Mexico City was once overrun by ants who had sneaked into the plane's air vents — when the air conditioning was turned on, out blasted hundreds of the tiny bugs. That's not the grossest, though. A few years ago, over 50 cockroaches were found camped out on an American Airlines flight. The roaches had apparently created "a colony on a curtain between first class and the pilots," and so the flight was delayed while the crew attended to that. I don't know about you, but I sure have a new-found respect for flight attendants.